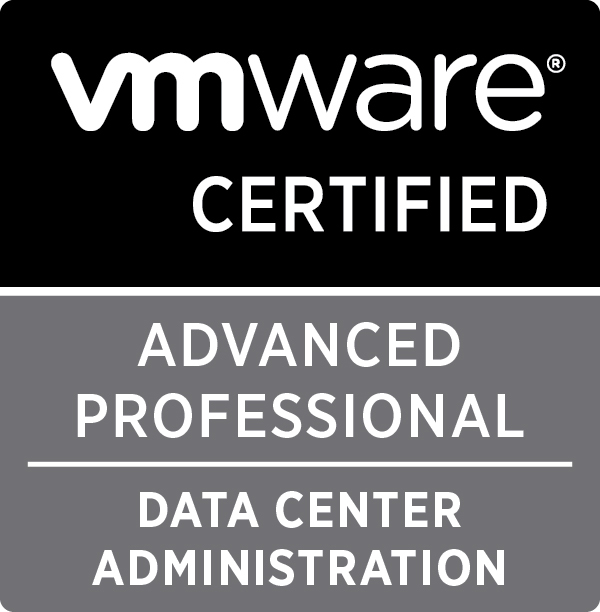 Having just finished my VMware Install, Configure and Manage (ICM) course I wanted to offer my classmates some advice on free utilities to make their lives easier when it came to managing their vSphere environments. As the class are aware of my blog I have decided to also mention them here so that they can get the links to download them for themselves as well as offering links to other people who are interested. There are a number of decent free utilities out there that people aren’t aware of unless they actually go out and look for them, some of the utilities I use and recommend to others are the following, this list is by no means complete and will be updated over time. As I have been doing a number of tests using different NAS/SAN solutions recently I needed an application that would allow me to repopulate my next test environment easily and quickly, I could have used the datastore browser but I like Veeam and their products so went with FastSCP, so far it hasn’t really let me down (apart from the issue of it not being properly supported on the 64bit platform, for which there is a fix here on my site) and it does offer a similar UI to the standard datastore browser. Another Veeam product that I am recommending to new VMware administrators is Veeam Monitor, this fantastic utility gets it’s information directly from the vCenter server, whilst using the free edition is definitely worthwhile you have to be aware that there are of course some limitations when comparing it against the full version however the functionality in the free edition will certainly help you in monitoring your vSphere environment. 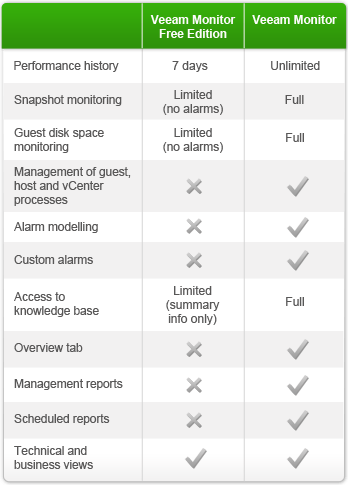 Here you can see the differences between the free and paid for versions. To ensure that you’re getting the best from your storage platform you’re going to need to baseline the system and continue to monitor it over time, using the excellent IOmeter and scripts here and here will give you an idea of how well your storage system is performing. XtraVirt have been around for a while and have offered a number of really great utilities over the years and a couple of them are used by me. The first XtraVirt utility I use is the VMware Documentation Downloader, this little batch file downloads the entire VMware library locally for you, it’s obviously going to require a decent amount of disk space but once downloaded you can read to your hearts content. The next XtraVirt utility I use is the vSphere RDP plugin, rather than using the console view you can use this plugin to directly RDP over to your VM, this does require you to restart the vSphere client to get the plugin to show up and of course you need to enable RDP on the server itself. On the whole this little utility is ok but I have experienced some issues with various error messages happening occasionally when trying to RDP to a server but this hasn’t really caused me too much trouble. If you have any other utilities that you use then please let me know and I can add them. RVTools (www.robware.net) is a great free tool that allows you to poll your vCenter database and gather just about anything your vCenter is keeping track of. There are filtering tools as well to narrow down the data you pull. Check it out, I think you’ll find it comes in quite handy at times. 833 days, 20 hrs and 3 min.